Would you let Facebook read your brain? 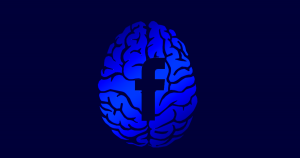 According to CEO Mark Zuckerberg, Facebook aims to access information about its users not just through their smartphones and computers, but directly from their brains as well. In a recent interview at Harvard University with Harvard law school professor Jonathan Zittrain, Zuckerberg bragged about technology the social giant is working on that could one day allow users to navigate menus or even type using their minds alone, Wired reports. The concept is relatively simple: smart objects can communicate with each other, but your brain is closed off from them. The solution, according to Zuckerberg, is a “shower-cap-looking device” that will read the signals in your brain and use them to unlock the data streams of your thoughts. Facebook has been testing such a “brain-computer interface” for a number of years. At its F8 developer’s conference in 2017, the company showed off what Facebook’s VP of Building Regina Dugan referred to as a “brain mouse” — a non-invasive brain interface that could one day allow users to control AR applications. Zuckerberg’s enthusiasm about that work is ironic, because the company has lost a lot of trust among its users after years of bad press and repeated reports of privacy violations. Millions of Americans have left the social network in 2018. Facebook’s future plans for a brain computer interface seem oddly disconnected from that reality.